It's the answer to every new parent's first question: doesn't this thing come with an owner's manual? At long last, yes! 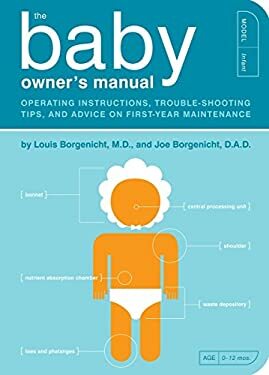 Through step-by-step instructions and helpful schematic diagrams, The Baby Owner's Manual explores the common concerns of every first-time parent. New (89 available) BRAND NEW. Over 1.5 million happy customers. 100% money-back guarantee. Make your purchase count: support Better World Books' worldwide literacy partners.